Jersey have pulled out of 2014's Jeux des Iles, reports BBC Radio Jersey. Elba recently withdrew as hosts of the annual youth games, due to be held from 26 May to 1 June, and Sardinia stepped in to replace the fellow Italian island at short notice. Hugh Raymond, Jersey's Chef de Mission, told BBC Radio Jersey: "Due to the cost and the logistics of getting to the host island, we will not be able to go. "It is very upsetting for those men and women who had been selected." He added: "It is very disappointing. "It's always been a delight for people to go so not to be able to go this year is very disappointing, especially as it was going to happen over our half-term." Last year Jersey was forced to send its smallest ever team to the games, because of clashes with other events and GCSE exams. This is the second time that original hosts Elba has been unable to stage the games, having pulled out of hosting the 2009 event because of a lack of funds. Sardinia is now hosting the event for the second time in three years. Jersey sent representatives from seven sports; swimming, athletics, tennis, table tennis, judo, gymnastics and sailing, to the 2013 games in Corsica. A number of young islanders have used the event as a stepping stone to get experience of higher-level competition. 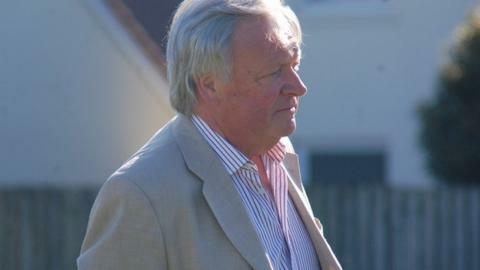 Chris Band, President of the Jersey Table Tennis Association, said: "We're very sad about it. We did absolutely everything we could. "The French organisers were let down originally by the island of Elba. "They tried their best with a replacement island, Sardinia but it's just snowballed. "It's letting the kids down and, in my book, that's just totally unacceptable."